Hyrule Warriors Legends will release in March 2016 and although the title has already seen its debut on the Wii U as Hyrule Warriors, it seems as if Nintendo is really trying to set the 3DS apart with quite a bit of new content! 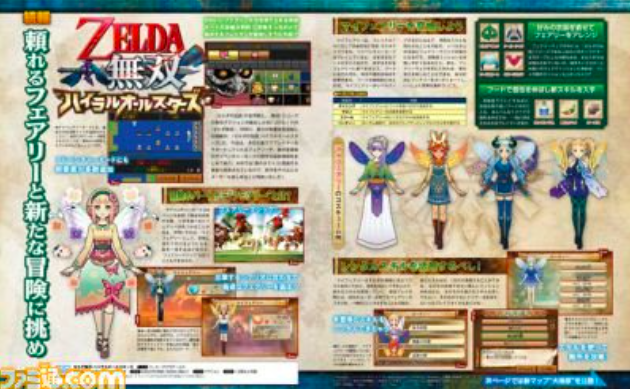 Famitsu magazine will officially publish tomorrow with a small article on Hyrule Warriors Legends, but there has been a little bit of information that has leaked early. 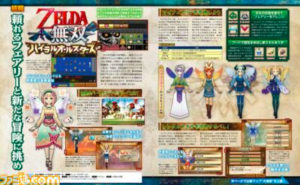 It appears that in the article we learn about new additions to the game; the first one called “My Fairy System”, although the article doesn’t seem to go too in depth about it, except to say that it will be able to be used to help players; the second tidbit is confirmation of the Great Sea Map in Adventure Mode. The magazine officially publishes tomorrow so stay tuned for more information!